Born and raised just outside Chicago and having lived squarely in it for more than a decade, I’d been in and out of the food service industry for officially over half my life and in all capacities (with a few other careers in there too). I’ve worked in both Michelin-starred white tablecloth establishments and sloppy pizza shacks that had one too many drunk owners and bugs. I’ve made all the classic service industry mistakes, been fired, been hired, been fired then rehired, been given opportunity and had it yanked away. I know it like I know my family, for better and worse. 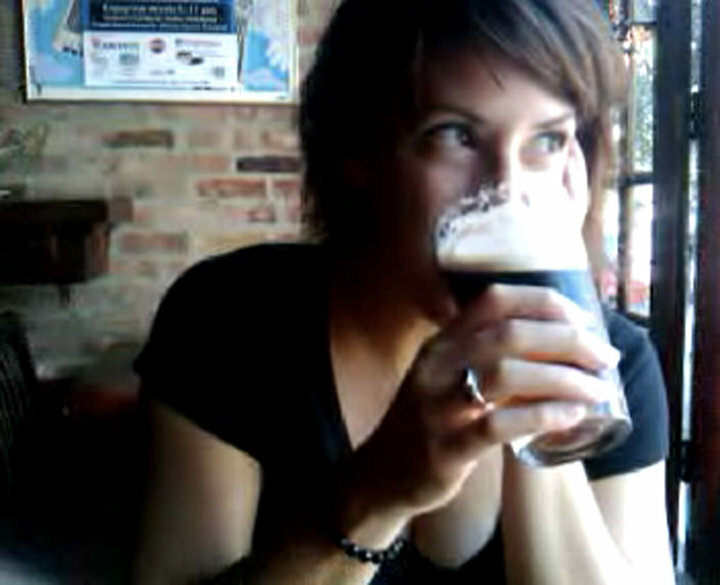 These days, I’m a graphic designer and marketing manager who heads up She’s Crafty Chicago, an all-lady beer club. I love beer. I love wine. I love certain spirits and am slowly acclimating to others. I love deep ballsy porters and coffee stouts, I rarely turn down Belgians and I avoid heavy hops, especially hops for hops’ sake. I explore. I order sours. Sometimes I drink alone, and I’m ok with that. Have a seat. Let me buy you a beer and talk your ear off about it. Just wanted to send you a quick note to say thank you for following my blog, and that I love reading yours! You have such a natural way of writing, which makes for really enjoyable reading. I hope you don’t mind, but I added a link to your blog on the bottom right column of mine in an “Other Sites You Might Like” section. Please let me know if you’d like me to take it down.